We’ve now learned that Felipe Massa has provisionally accepted a request from Williams to postpone his retirement until 2018, that is, providing Williams reach an agreement with Mercedes for the signing of Valtteri Bottas – however, I believe both deals are moving along nicely. 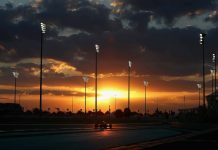 Massa only announced his decision to retire at the Italian Grand Prix in September, and after bidding an emotional farewell to his home crowd at Interlagos, he appeared to say goodbye for real in Abu Dhabi – the scene of his 250th and final Grand Prix. Nico Rosberg’s retirement announcement was something of a ‘mic drop’ moment for the newly crowned champion, and as the dust began to settle, Valtteri Bottas’ name was immediately linked to his seat. Despite Mercedes’ Toto Wolff being a part of the Finn’s management team, however, Bottas was not considered the early favourite. That title went to Pascal Wehrlein, although I am not convinced that Mercedes ever considered him seriously for the seat. They could have shut down the rumours there and then by announcing Wehrlein – but they didn’t, and that says a lot. With a major change to the technical regulations coming in for 2017, Mercedes probably thought that Wehrlein was lacking the experience to develop their new car, at the same time as trying to keep pace with Lewis Hamilton. The more I think about it, the more I can understand why they thought twice at signing Wehrlein. He has, after all, only a single season of F1 under his belt, and despite showing strong pace, his attitude on occasions has irritated members of the Manor team. He’s clearly not the finished article and needs more time. Valterri Bottas, however, ticks several of the boxes that Wehrlein does not. At 27, he is mature enough to deal with the pressures of driving for a top team. He has experience of Mercedes’ power trains and with four full seasons of F1 under his belt, he is able to deliver the kind of feedback that will be crucial in aiding the car’s development. The problem is, these are the exact reasons why Williams wanted to keep Bottas. It’s understood Mercedes made an initial offer of €10m plus Pascal Wehrlein as a replacement for the outgoing Bottas. Concerned at losing their lead driver, Williams said they would only negotiate with Mercedes if they had a suitably experienced driver ready to replace him. An experienced driver was seen as being crucial to Williams’ chances of success – more so with a major regs change around the corner. They were already losing the experience of Felipe Massa, and replacing him with 18-year-old rookie Lance Stroll – and as talented as Stroll maybe, there’s no denying he lacks the technical knowledge of a seasoned driver such as Bottas or Massa. The announcement of Stroll as Williams’ new race driver comes with an added bonus in the shape of significant investment from his father Lawrence – himself, a self-made billionaire. It’s understood that Stroll Snr wanted his son to be partnered with an experienced driver – someone he could learn from, but more specifically, not a rookie. The feeling in the Stroll camp was that should he end up being beaten by a driver such as Wehrlein, it could be more damaging to his reputation than if he were to be beaten by a more established name such as Bottas. But that wasn’t the only stumbling block preventing the Bottas deal going through. Williams’ title sponsor, Italian drinks brand Martini, insisted that at least one of the drivers be aged at least 25 – for marketing and promotional purposes. Using 18-year-old Stroll and 21-year-old Wehrlein to promote the brand just wouldn’t work. With that, Williams’ options became limited. They clearly do not hold the same weight in the driver market as a team such as Mercedes do. They considered promoting Paul di Resta, but his three seasons out of the sport went against him. Development driver Alex Lynn has tested for the team fairly recently, but being only 23, he poses the same problem as a driver such as Wehrlein. Personally, if Williams are now resigned to losing Bottas, I would have loved to have seen them take a chance on someone such as Sebastian Buemi. At 28, he’s old enough to please the sponsors, and despite having been out of F1 for a few years, to his credit, he’s been rather busy winning world championships in WEC and Formula E.
If Massa does complete the most unlikeliest of comebacks, I do fear that it will end up being a mistake in the long run for both himself and the Williams team. 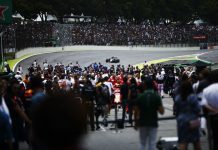 Massa couldn’t have realistically hoped for a better send-off than the one he received in Brazil and Abu Dhabi – and it would be a shame to taint those memories. It’s also worth considering the comments he made towards the end of the season about being ‘tired’ of all the travelling and the demands that come with being a Formula One driver. For me, if you’ve started having thoughts about retiring, you should stop there and then. But who am I to tell Felipe Massa, or the Williams team for that matter, what to do? I once described Formula One to my wife as being just like a soap opera, and if these past few weeks are anything to go by, I do wonder what twists 2017 has in store. Next articleHappy Holidays from Badger GP!